As a data scientist or analyst, you’ll probably come across many file types to import and use in your Python scripts. Some analysts use Microsoft Excel, but the application limits what you can do with large data imports. The better option is pandas — a powerful analysis toolkit that’s much more intuitive for a data scientist. 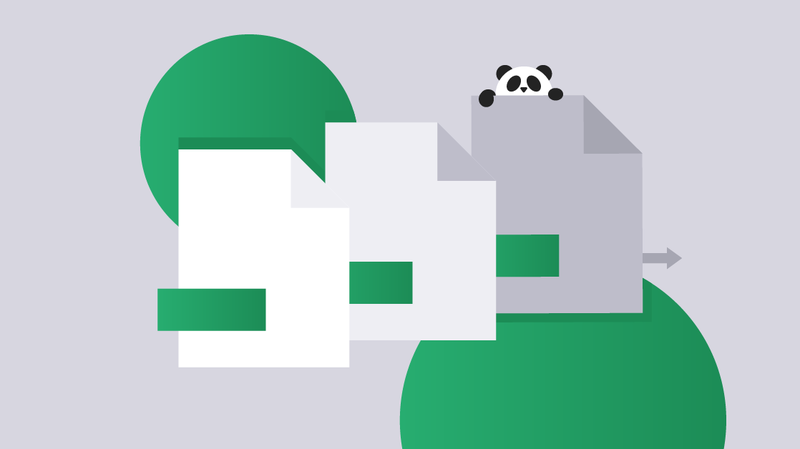 What file formats can pandas use? Python can handle virtually any data file format — much more than Microsoft Excel. That’s the strength of Python. It’s open source, and there’s probably a library out there to handle it, so you get a vastly more compatible system. With almost any data science project, you need to import files. pandas makes these imports intuitive, but even better it’s done with only a few lines of code. HTML is usually unstructured data, but you could have a page with a table of data that you want to import. Pandas reads HTML in just one line of code and parses the data for you, including the tag elements. NOTE: This is only for pages with tables. Pandas works its magic easily when a page has a table, like our 13 Honest Data Center Tech Salaries post. If you want to do some serious scraping, you should look into Beautiful Soup. You could run a SQL query on a relational database and export data to a structured file format, or you can run a SQL statement directly in your Python scripts. Pandas has a function that takes a SQL string and runs it against the relational database. It’s a little trickier because you need to write a SQL query, and also open a connection to a SQL database. Don’t let that discourage you. SQL is straightforward, and it’s easy once you get the connection set up with Python library pyodbc. You’ll definitely want to learn more about SQL connections in Ben Finkel’s pandas course. Pandas also makes imports of a CSV easy. Importantly, you can put virtually any file format into the pd.read_[file format] section, and it’ll work the same way. After you import data, you might perform calculations and arrange new data structures in your scripts. You might then want to export data to a new file that contains your calculations. Pandas has a function that exports data to a CSV. You can export using other file formats, but most data scientists prefer to export in a file format that’s more easily transferred between systems. We mentioned that CSV is used to transfer data in an example environment between MySQL and SQL Server, but it’s used in other situations where you need to ensure that a third-party is able to import your file. You might not know what system your client uses or need to export data for a third-party to use. Using a CSV file format, you can better ensure that any other software, database engine, or compiled code can import your information without incompatibility issues. With this newly exported file, you or any third-party can import it to another system including another Python script. These few lines of code are all that it takes to import data, and pandas makes it possible. CSV file formats are one of the most common. A CSV file is used to transport data between two different platforms. For instance, a CSV file can be used to transfer data between SQL Server and MySQL. It’s a universal format that also requires very little formatting overhead. JSON files are structured for computers, not humans. Data analysts might need to get a better look at data in an easy-to-read format. With pandas, that’s easy. Library tip: The simplejson library provides line-by-line error messages that make life much easier. For instance, if your .json file isn’t formatted correctly, simplejson will tell you exactly which line is faulty. The json library only tells you there’s an issue (or issues) somewhere in a huge, not-so-easy-to-read file. You can convert virtually any data file format into any other format with pandas. As a data scientist, you need to use the right libraries and file formats that help your career. When you become familiar with file formats and the functions that easily import and export data, you are a more versatile data scientist with extended skills that you bring to potential employers.